Cardinal Country — Day 3 | NJNA is Blogging! I think I FINALLY got the name of my class correct — although I still refer to it as Cardinal in the Garden mostly. Today was day 3 and it was much the same as day 1 and 2. 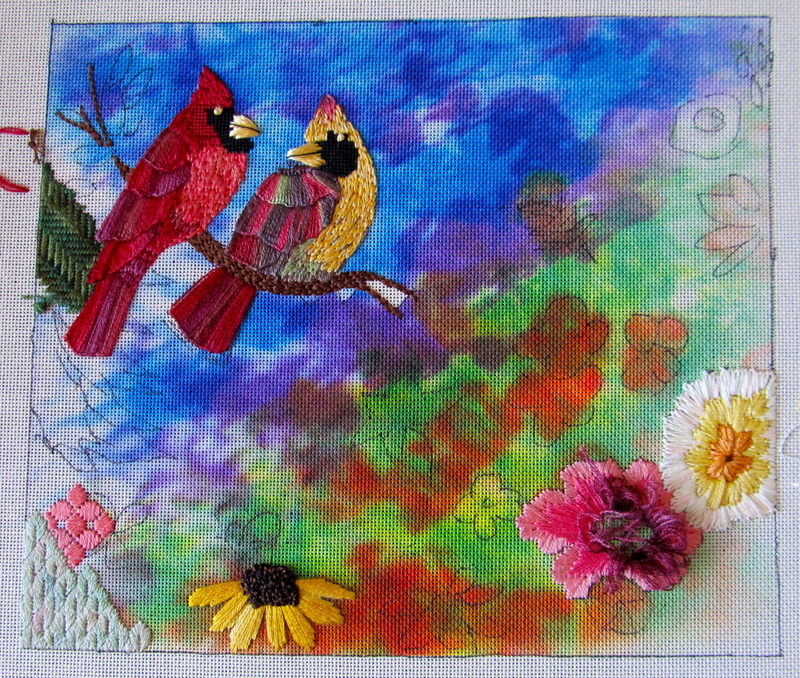 I did make progress on the female cardinal and a few flowers and trees. Tomorrow we will use the memory thread for the cardinal claws and flower stems and we will learn needle-weaving for 3-D flowers. Most of my classmates are loving this class — admittedly our teacher, Joan Thomasson, is a lovely person. We only have six people in the class and that is a real boost for something that requires so much individual creativity. Unfortunately, the class does not put me in my Zen space! Cardinal Country — Day 3! Speaking of Zen space — I sort of went off at the manager of Thelma’s coffee stand here at the hotel when he had NO English Breakfast Tea available at 7:30 AM this morning. I must admit that he checked his storeroom and finally volunteered to go in search of it elsewhere in the hotel. He found some and I thanked (and tipped) him profusely. Sue and I had tried to buy regular tea bags at two delis and at CVS yesterday. 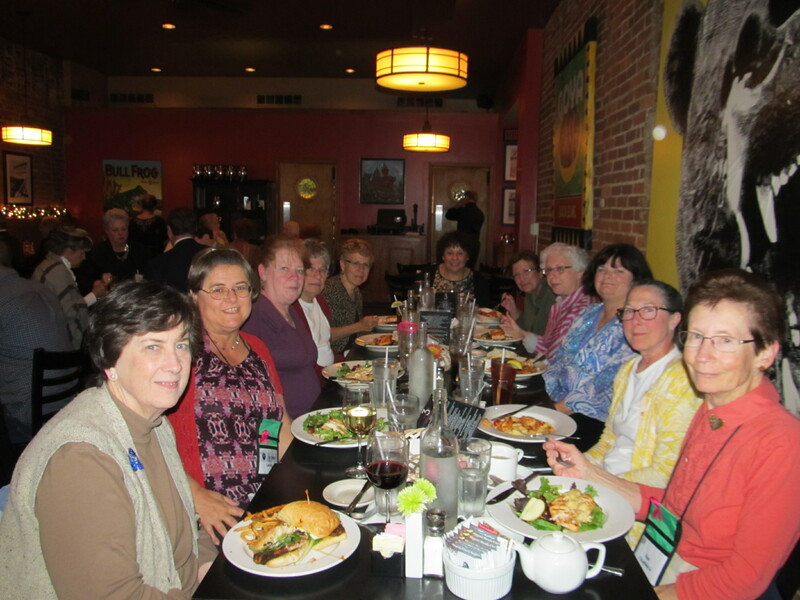 In my not so humble opinion — this tea crisis is unacceptable!Tonight the seminar attendees from the Metropolitan Region of EGA (Skylands Chapter’s Mothership) went out for dinner at Bistro 301. Sue and I had eaten there earlier in the week and had already decided that we would eat this last free dinner there as well. Eleven Members of Metropolitan Region of EGA! Sue and I both had the wonderful salad of mixed greens, grilled chicken, melted brie, grapes, apples, and candied walnuts with a Merlot vinaigrette dressing. It was wonderful — and no doubt both Sue and I will attempt to recreate it at home. 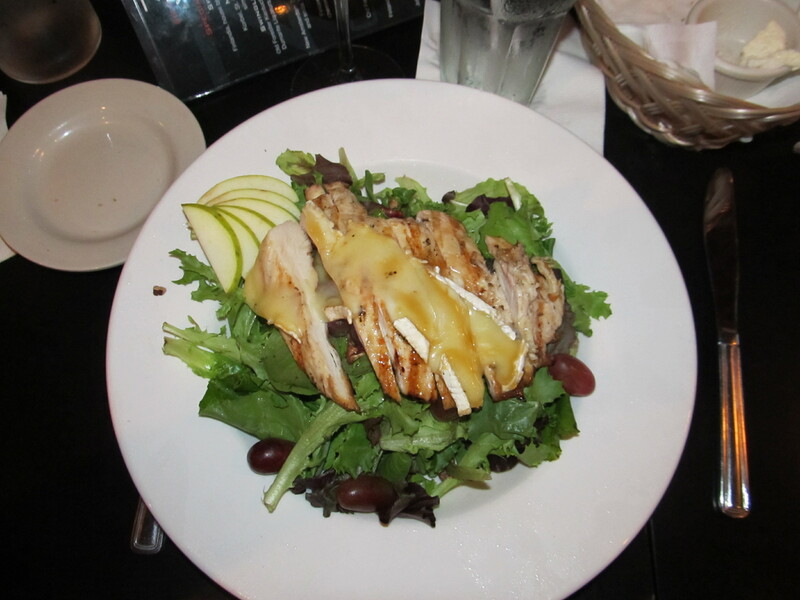 Grilled Chicken with Brie at Bistro 301 — Yummy! I hope to complete my SOTM stitching tonight while I catch the opening kick-off of the Arizona football game! Go Wildcats! Yes, I had my personal teabag wallet (as well as a baggie of additional Lipton Tea) and both are used up — you just can’t imagine how awful it was trying to find a cup of black tea in this town. I could have drowned in Bigelow Lemon Lift however!